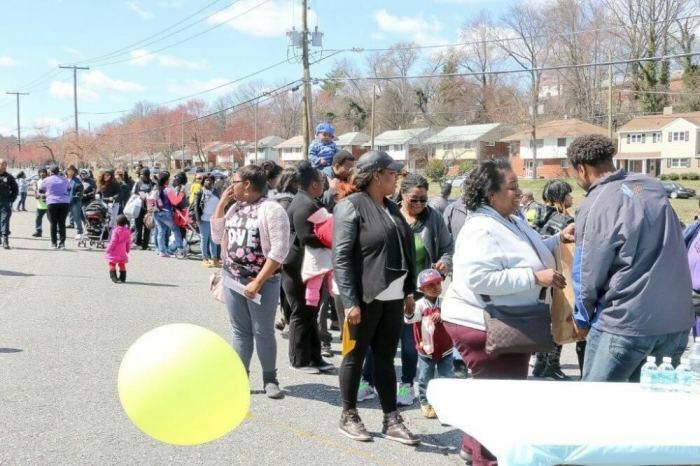 Long lines of Maryland residents and those in surrounding areas are expected to queue Saturday at a BP gas station to receive free gas for their cars as part of a Maryland church's effort to have a ministry like Jesus. The First Baptist Church of District Heights will be hosting a "Gas Buy-Down" event where locals can fill their gas tanks free of charge for up to $20. Co-sponsored by a local BP gas station along Marlboro Pike, the event will be held from 8am to 11am and is intended to provide some financial relief for members of the community and surrounding areas. (See below for the event address). "We love to look for ways to reach our community in the most creative and fun ways possible," First Baptist's Senior Pastor Bobby Manning told The Christian Post on Wednesday. Manning said he first got the idea for a "Gas Buy-Down" from a pastor in New York and wanted to replicate it for his District Heights community. "I kind of took the idea and ran with it and got our team on it. We have a really great team." The pastor and many members of the church will be at the gas pumps servicing as many vehicles as possible. The free gas is not limited to Maryland residents — District and Virginia residents are also welcome. First Baptist partnered with the local BP station to make the event possible, said Manning, who added that the price of the gas was not a factor in the church's partnership, rather the willingness of the station to team up with them, and the station's proximity to the surrounding neighborhoods. Pastor Manning said the church doesn't expect BP, or any other event partners, to donate their services. "When we approach local proprietors like this we don't approach them with any expectation that they will bring anything to the table," he told CP. "We would approach with the expectation that 'Hey, we're going to pay for everything, and if you want to partner with us and to give funds, then we would love for it to be a team effort.'" Still Manning said that many businesses decline to participate with the church, but First Baptist remains true to its mission to serve local residents. "We wanted to be right here in our neigbhorhood ... You'd be surprised, when we're seeking to work with proprietors like this, we really approach them and say, 'Hey, we're bringing all the money to the table we just want to use your location and partner with you.' You'd be surprised how many proprietors say, 'No.'" He explained that because of his persistence — sometimes taking "three or four tries" — businesses finally acquiesce. The "Gas Buy-Down" isn't the only event in which First Baptist has hosted a successful collaboration. 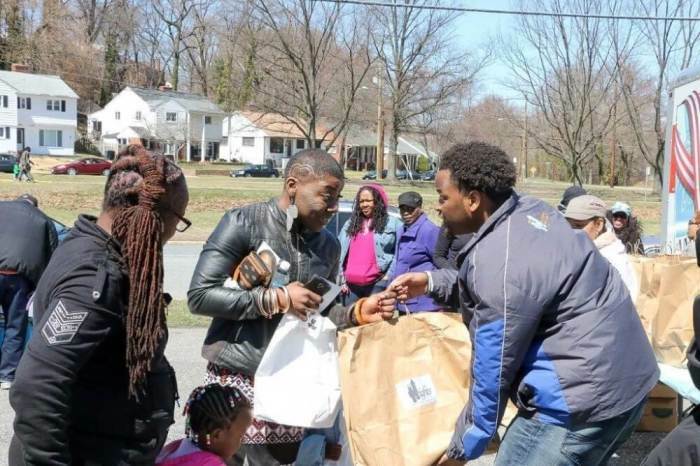 The church has also spearheaded a laundry event where it partnered with a local laundromat to offer free washer, detergent and dryers for members of the community. The pastor explained that in the past the church has collaborated with First Laundromat, also in District Heights, to provide a day for area residents to wash and dry their clothes for free. The church paid the laundromat upfront for a window of time in which community residents could take advantage of the free services. "They [First Laundry] were so excited to see the work we were doing, and wanted to do to serve the community, that they gave us a significant discount on that laundry ... that's some of the experiences that we've had in the past. So we believe we can work with the local providers and owners to serve our community — the more the merrier. As you can see ... it turned out to be an excellent experience ... It's been wildly successful." Manning has served as the senior pastor of the 400-member church for five years. "Our church is committed to serving our community well," he said ... "If your church vanished off of the corner or the street that it's sitting on, would anyone notice? ... I want to make sure that we are serving our community so well that even people who don't attend our church know that [our] church is here and know that our church cares because that's the kind of ministry that Jesus had."